Well, I have to tell you that I have been holding onto a secret for a few months now. And let me tell you it has been hard! It is the sort of secret that you want to shout from the treetops. Well, now I can share. 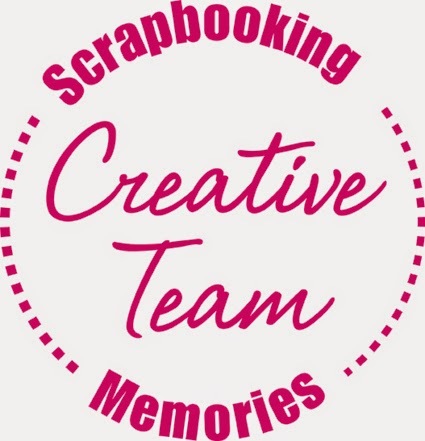 If you know me through Facebook, then you will already have heard, but for everyone else I can finally reveal that I have been chosen to be on the Creative Team for Scrapbooking Memories Magazine! For the next 12 months I have a two page article in SM, My regular feature will be the "How to - Graphic" so make sure you keep an eye out for the first issue in the new year, it will be the one after the Masters release! I feel so honoured to have been chosen to do this, and hopefully I will inspire some of you with my articles!